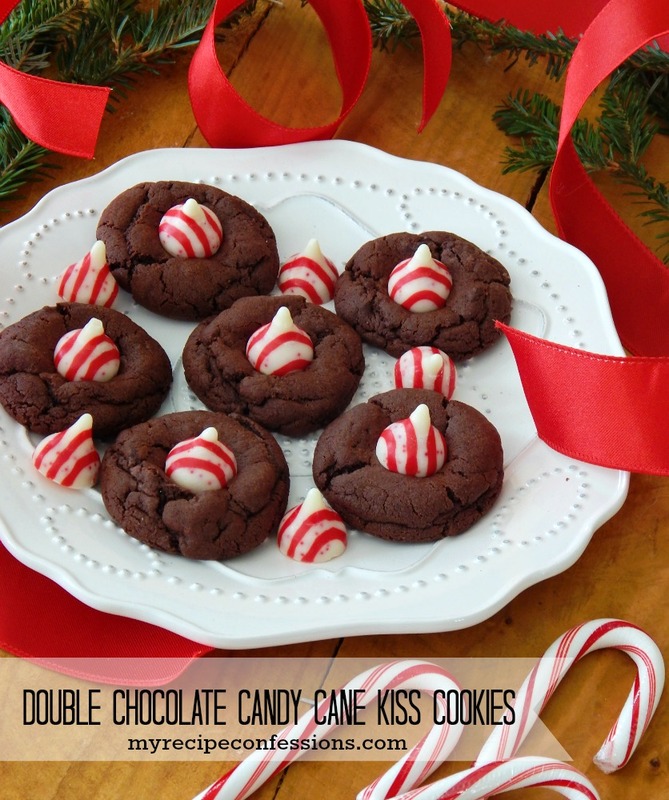 Who can argue with anything that has “double chocolate” in the title? These cookies are soft, chewy, and loaded with chocolate. As if things couldn’t get any better, it has a Candy Cane Hershey Kiss on the top. Come on, I dare you to try to stay away from these babies. Whether you are making these cookies for a Christmas party or for a neighbor gift, you simply can’t go wrong. To makes this an even sweeter deal, they are very easy to make. 1. In a large bowl, cream the softened butter and granulated sugar together. Add the eggs into the butter mixture and continue to cream. Next, add cocoa powder, sour cream and vanilla extract and mix until well combined. 2. Mix all the dry ingredients in a medium sized bowl. Add the dry ingredients to the wet ingredients and mix until well combined. Fold in the chocolate chips. Chill the cookie dough in the fridge for 30 minutes. 3. Form cookie dough into 1 in. balls and place on a ungreased baking sheet. While one sheet of cookies is baking, store the remaining cookie dough in fridge. Bake for 9 to 10 minutes. 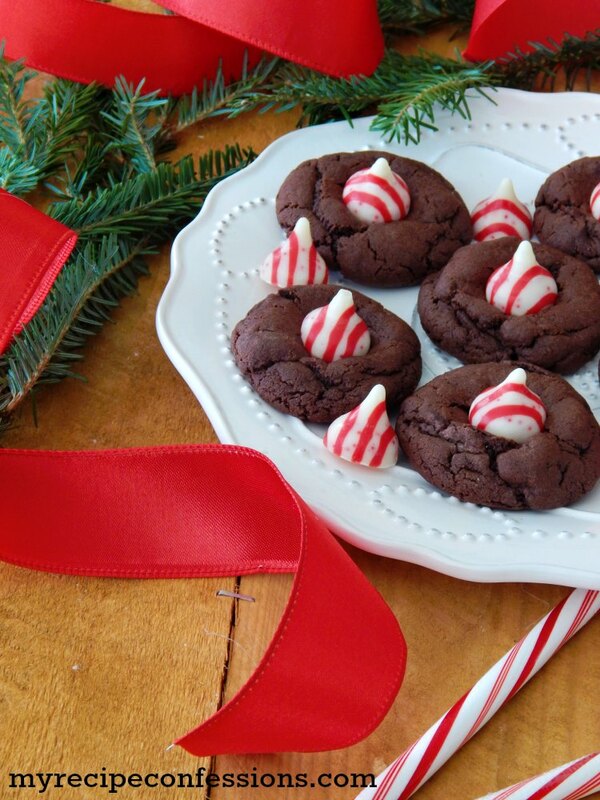 Remove the cookies from the oven and place a unwrapped Candy Cane Hershey kiss in the center of each cookie. Allow the cookies to cool completely. I love these!!!! I want these!!!! Please share! You are so sweet and I enjoyed getting to know you last week. Next time we get together you better believe that I will share some of these cookies with you. Have a great week!